Cali: Hi, my name is Cali and I'll give you an introduction to this webcomic. Karen: Hey!!! Karen here. I'm here to introduce you to this webcomic. Calli: Karen, I'm supposed to introduce us. Karen: Heh, I knew the artist said you name, not mine. 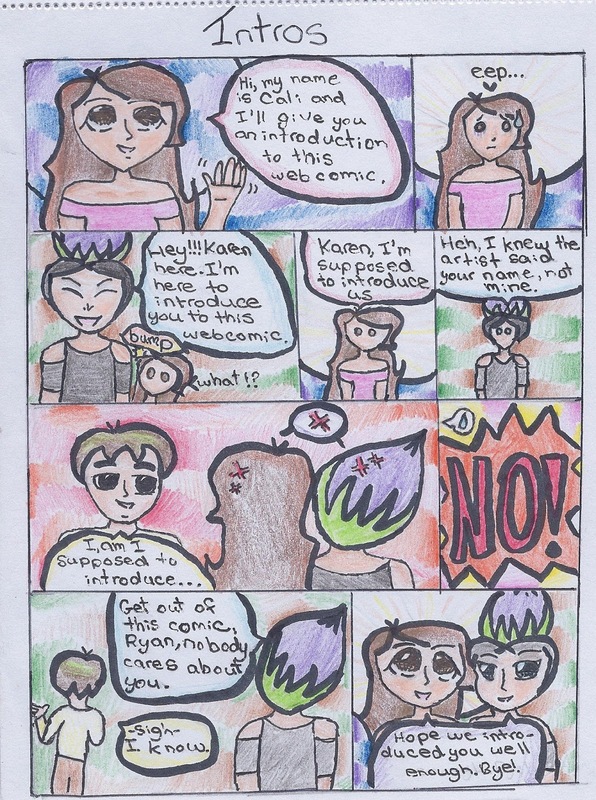 Karen: Get out of this comic, Ryan, nobody cares about you. Cali and Karen: Hope we introduced you well enough. Bye! I'm sorry about how messy these three pages are. I was still developing the characters, and I was coloring by hand.